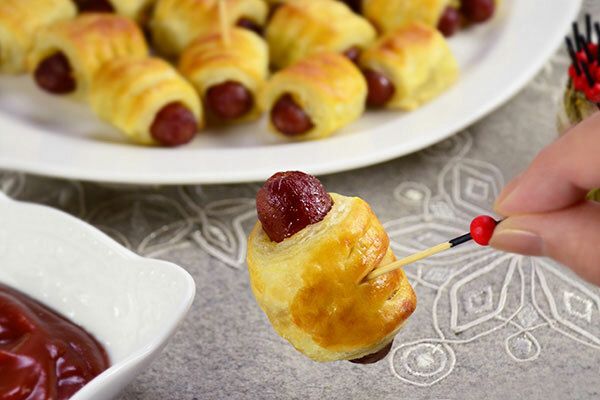 A classic party appetizer that never gets old. 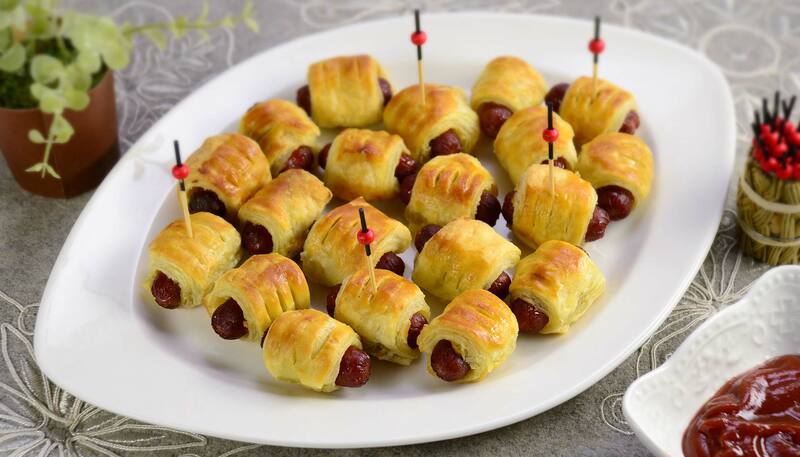 This makes a perfect snack for any game day or party! 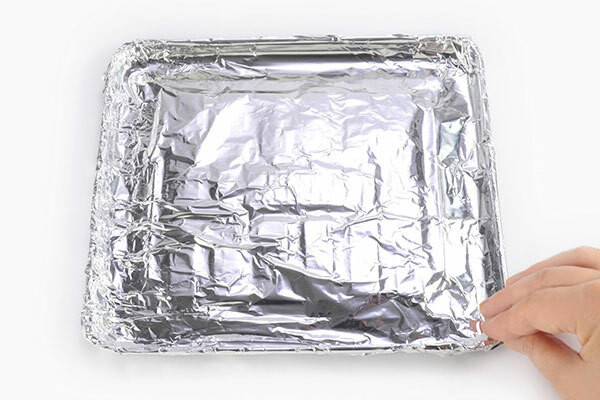 Line the baking tray of Toaster Oven with aluminum foil and lightly coat the surface with vegetable oil (not included in the ingredients list). Flour work surface with all-purpose flour. 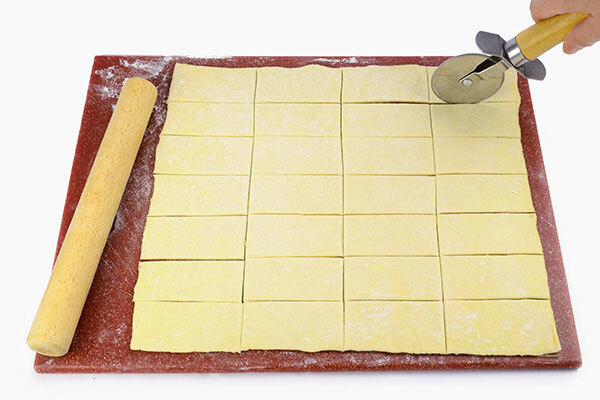 Unfold the pastry sheet and flatten into a 10.5” x 12” rectangle using a rolling pin. Cut lengthwise into seven 1.5” wide strips, then cut each strip crosswise into four pieces, to make 28 rectangles, each 1.5” x 3”. 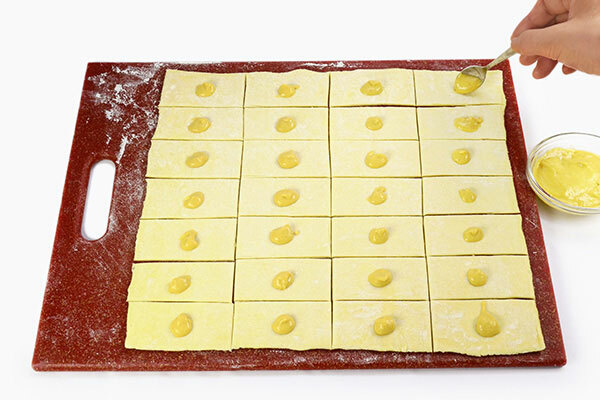 Place 1/4 teaspoon of Dijon mustard at the center of each puff pastry rectangle. 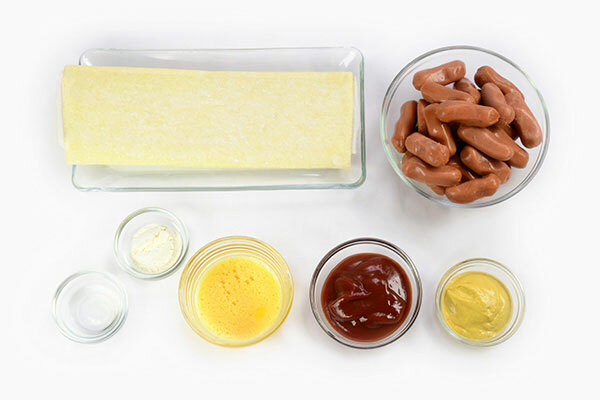 Take a pastry rectangle and place a sausage at the narrow edge. 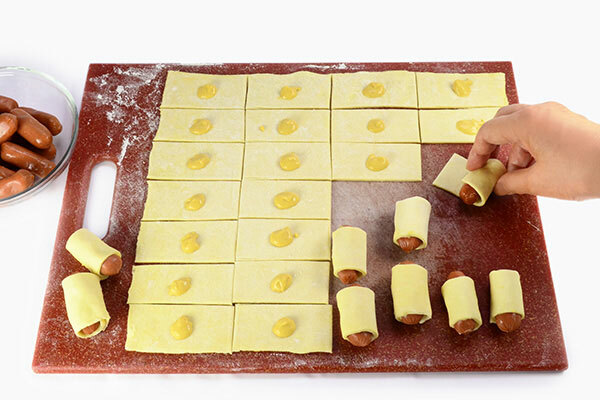 Roll the pastry around the sausage and press to seal. Repeat step to make the remaining 27 rolls. Transfer 14 rolls to the lined baking tray, seam side down. In a small bowl, make egg wash by mixing egg and water, then brush the top of each roll. 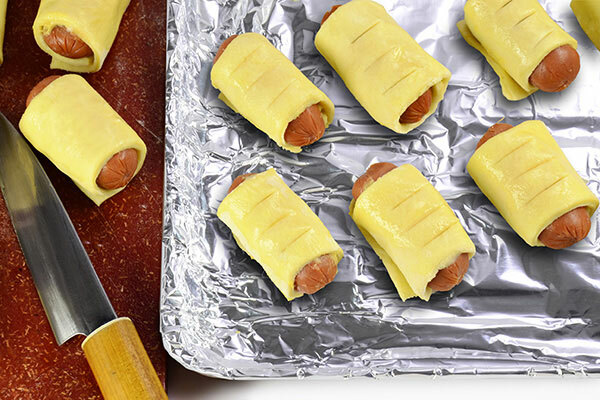 Score the top of each roll by making 3 slits with a knife. 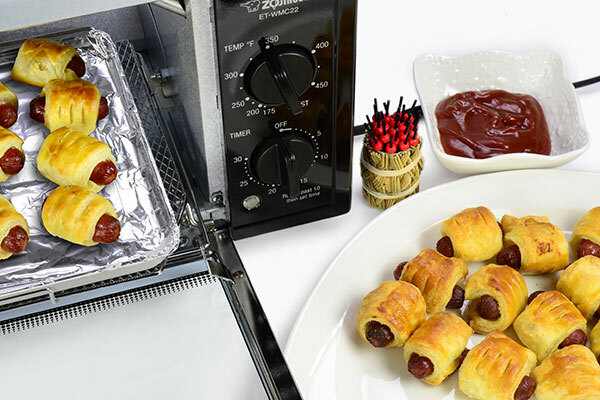 Place the baking tray into the Toaster Oven and set temperature to 350ºF. Bake 17 to 19 minutes or until puffed and golden. 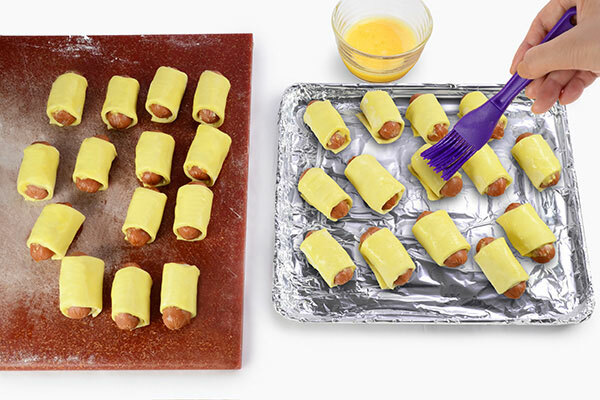 Repeat steps 5 and 6 to bake the remaining rolls. Serve with dipping condiments and toothpicks.